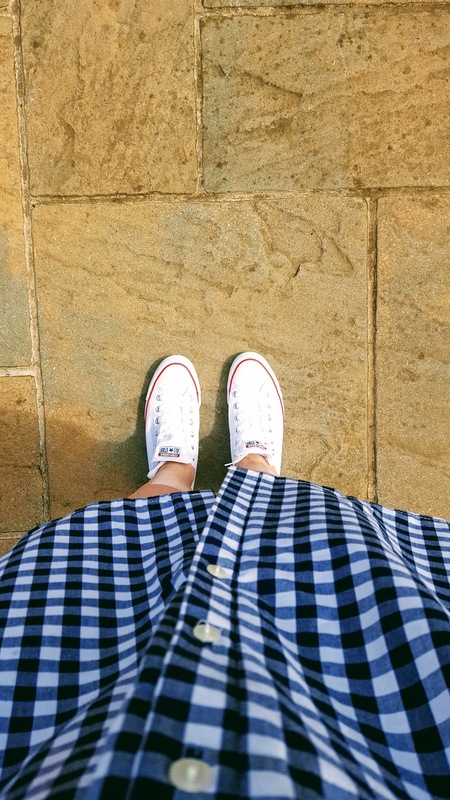 Gingham Dress Trend: Are You A Fan? 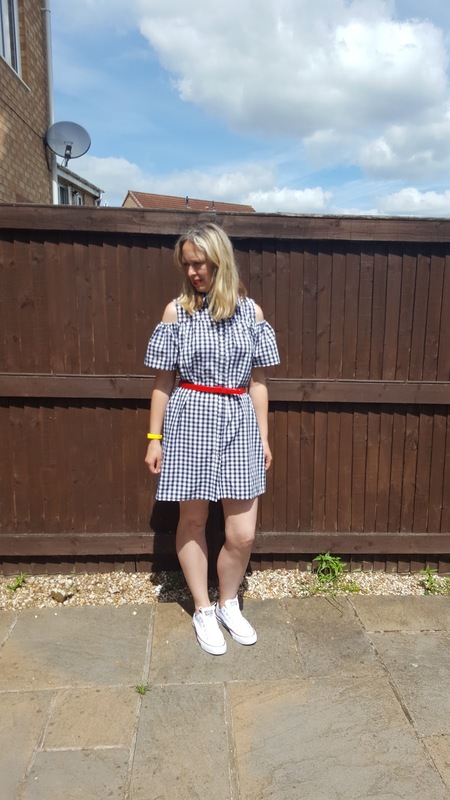 I love how every Summer the Gingham dress comes back into fashion. 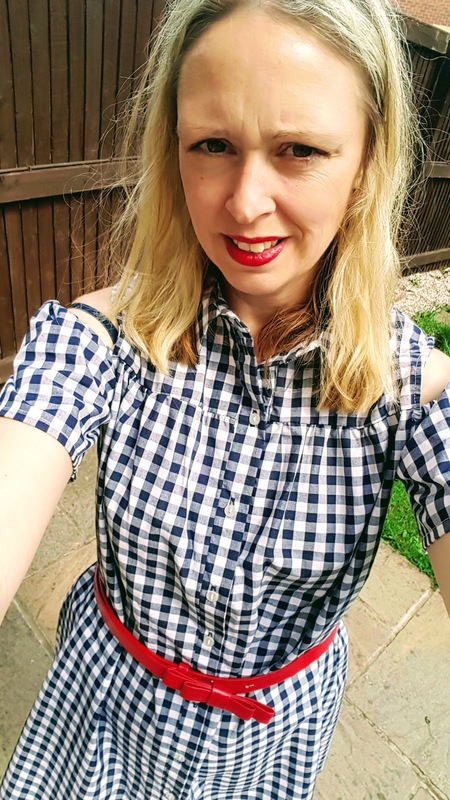 I am a huge fan of the Gingham trend and I am happy that is gong to be huge again this Summer. 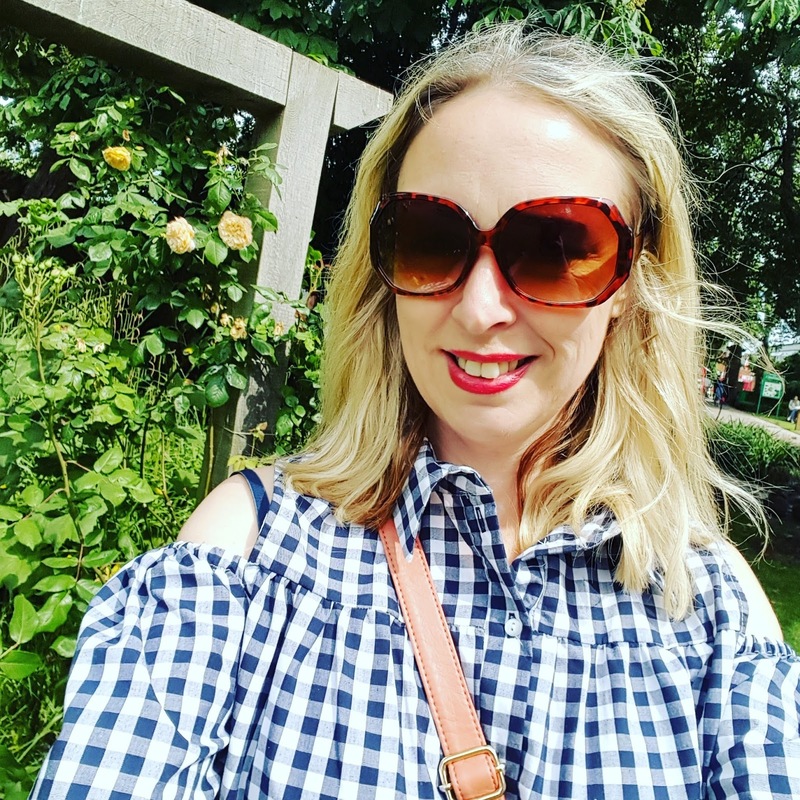 Did you hear about the circle skirt dress from Primark at £15 has sold out and people are selling in on Ebay for a lot of money? I missed this one! 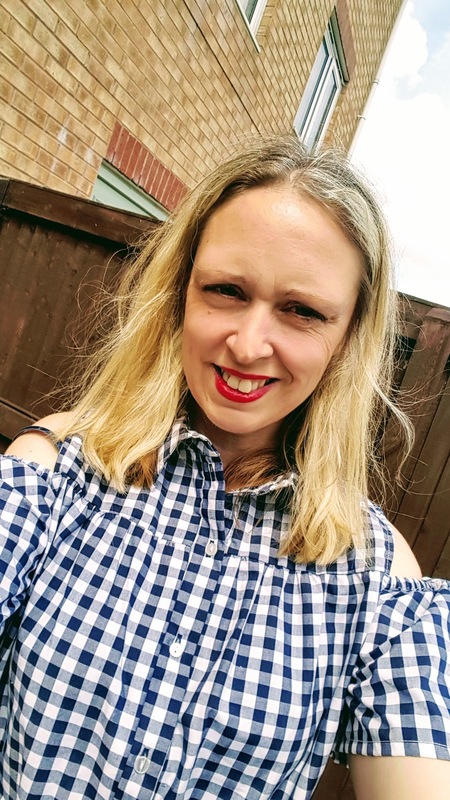 Anyway, I love Gingham and as soon as one dress gets old and worn plenty I look for another. I had just popped my black and white one into the charity bag and then along came this navy blue and white one. You can imagine how pleased I was when I saw this dress on the sale rail in Primark last week. 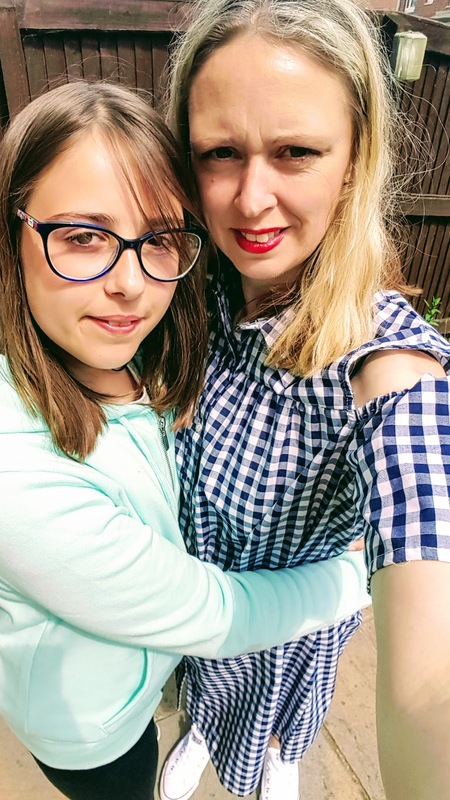 We were having a look around the shops for new clothes for my daughter as she is growing so tall at the minute. Eventually, I managed to talk her into having a look in Primark. I noticed this dress straight away with my eyes like a magpie when it comes to finding a pretty thing. Yuck she said, I am not wearing that. This is how I knew it would be suitable for my age group, lol. Oh yes, she replied. It will look nice on you!! 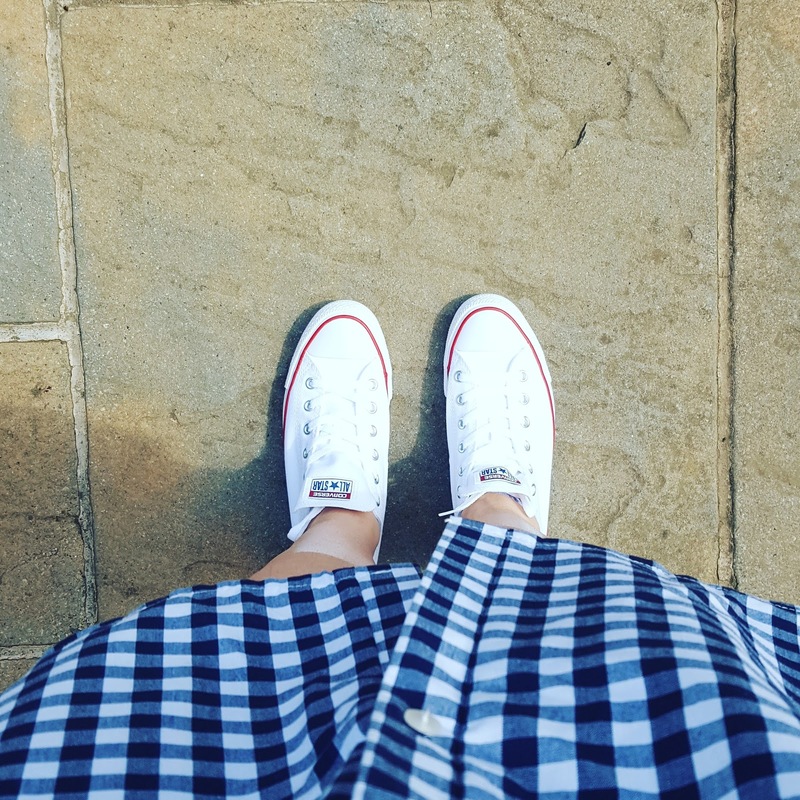 After chucking my old white ( but very old and mucky white) Converse into the Charity bag, I realised how much I missed them. So for my Birthday, my Husband treated me to some new ones. Whoo, they are a little bright at the minute!! Trying to take a few photos and mini-me photobombing them!! Belt: Old can’t remember where from, maybe Primark! Trying to get Mollie to sit and pose with me was hard work!! No way she says!! She does what she wants and she doesn’t want to pose!! Haha!! I love Gingham but try to stay away from red. Red is my favourite colour but it reminds me of the kid’s school dresses. London Marathon 2015 Ballots Are out!! "Caramelised Apples, California Raisin Goat’s Cheese Salad"
"Frozen Losalted Caramel Yogurt: How Yummy!?" 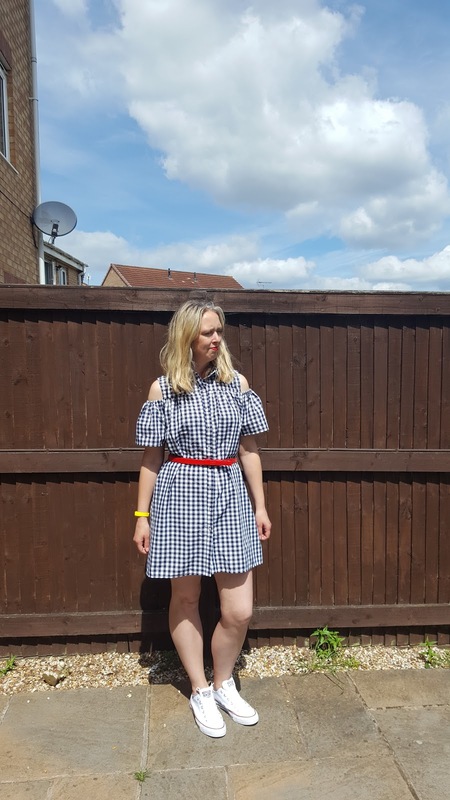 I love anything gingham and this dress looks great on you! Thanks Heather, I keep spotting it everywhere now!